Like traditional wear with a twist? 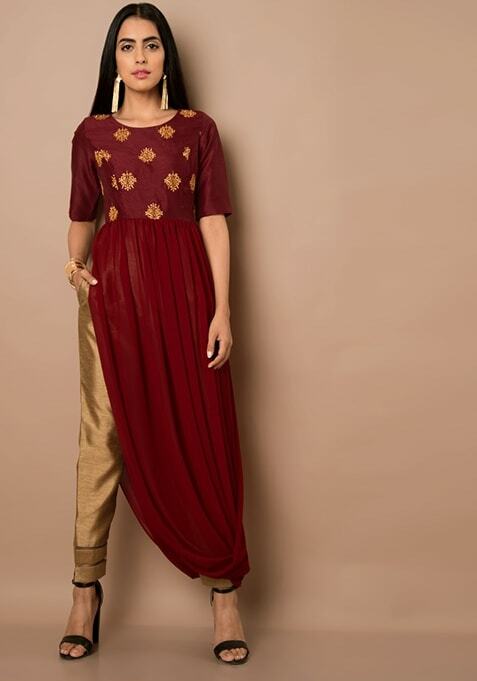 Try this smart, cowl flare tunic in maroon featuring beautiful embroidery on the yoke. Work It: This versatile tunic is perfect to be worn with tapered pants. You can complete your look with smart heels and a nice hair up do.